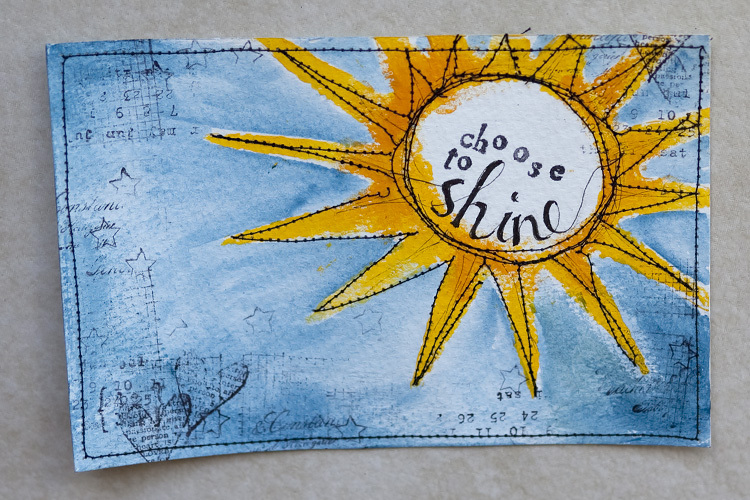 It says: choose to shine. This card uses a template from The Crafter’s Workshop (as well as a few others.) and acrylic paint. Gratitude PostCards is a weekly project for 2013. You can see a detailed post on my goal and the postcards I use here. This is beautiful! If I were to receive this I would mount it and frame it! Hello Karen, so happy to see this gorgeous card and WONDERFUL LOVELY pictures from your trip. I love how close all of you are even though you barely see each other. All those boys smile so happy and cute together. I love seeing you with your mom and sister especially. How well the older boys play with your younger boys, love this!! Welcome home dear friend, enjoy these summer days, they are going fast!! HUGS AND LOVE! !